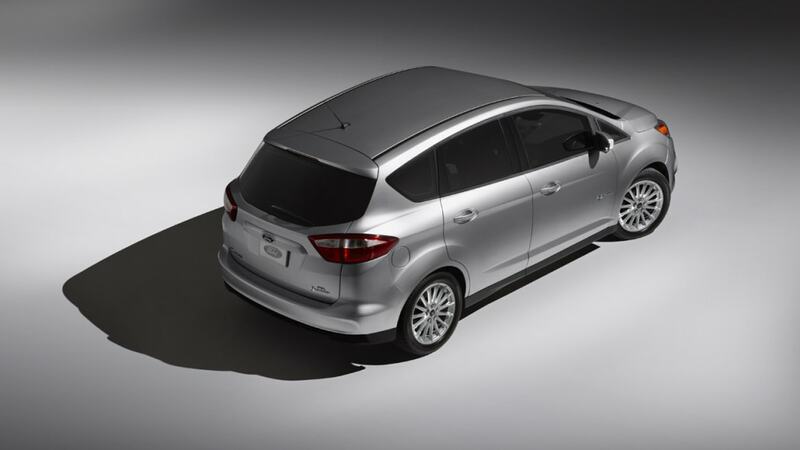 We've already told you about the 2012 Ford C-Max, the Blue Oval's new mini-minivan that's set to launch here in North America later this year. 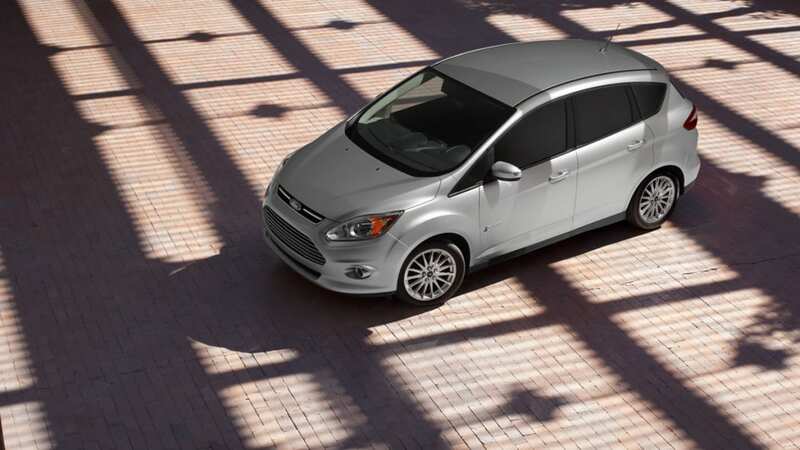 The C-Max story doesn't end with just the one gasoline-powered model, though – Ford is bringing two more versions of its small people mover to the 2011 Detroit Auto Show: the C-Max Energi and C-Max Hybrid. What's important to note is that while the gasoline C-Max with sliding doors is actually based on the three-row Grand C-Max that Ford sells in other markets, the Hybrid and Energi use conventional front-hinged rear doors and seat five, just like the shorter-wheelbase C-Max available in Europe. The automaker's kinetic design language is in full force here, and the Aston Martin-like grille on these smaller C-Max models resembles what first debuted on Ford's Focus Electric at last week's Consumer Electronics Show. The C-Max Hybrid uses the Blue Oval's next-generation gasoline/electric powertrain technology, and we're told that fuel economy will be higher than the 41 miles per gallon that's currently on tap in the Fusion Hybrid sedan. 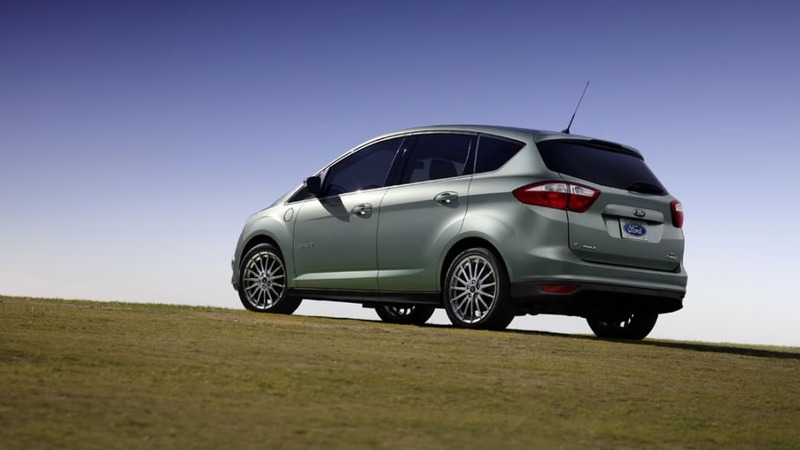 By building upon the powersplit technology currently used in the automaker's hybrids, Ford says that the C-Max Hybrid will be able to operate in electric mode at speeds higher than 47 miles per hour. The big story here, however, is the C-Max Energi, which is essentially a range-extended plug-in hybrid that's not completely unlike the Chevrolet Volt. 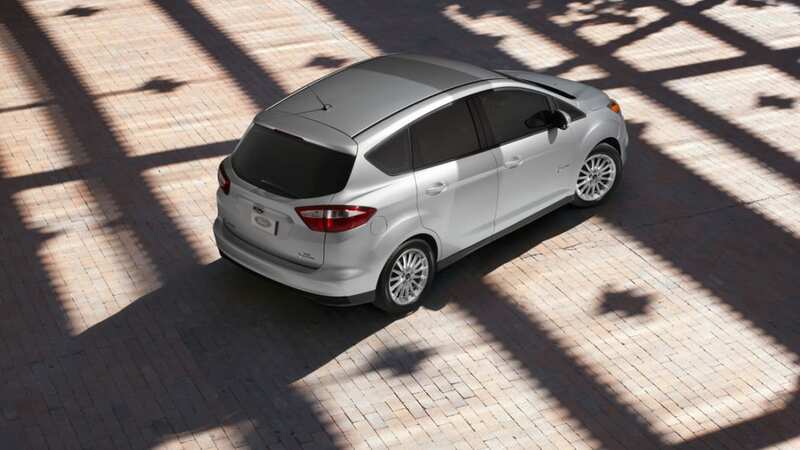 Ford is targeting an overall driving range of more than 500 miles using both the battery-backed motor and Atkinson-cycle engine, and much like the Focus Electric, the automaker's new MyFord Mobile software will allow users to monitor the C-Max Energi's charging state while on the go. 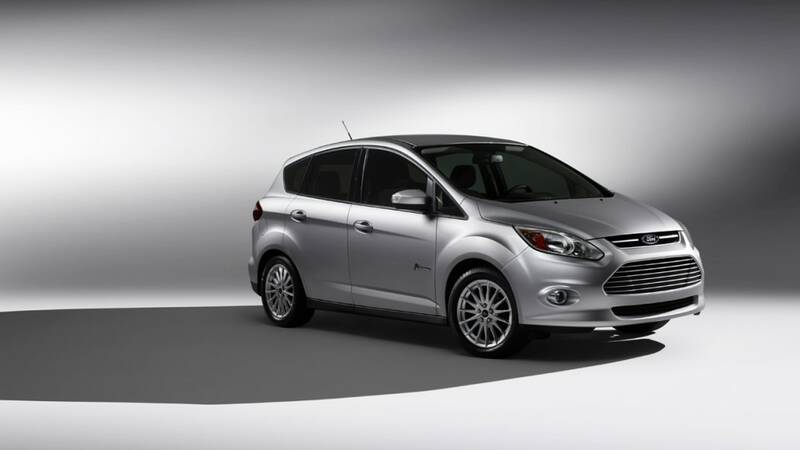 Both the C-Max Hybrid and Energi will be built alongside the standard C-Max at Ford's Michigan Assembly Plant starting in 2012, with European models being built in Valencia, Spain starting in 2013. Follow the jump for the full details in Ford's press release, and check out each version of the new C-Max in our high-res galleries below. 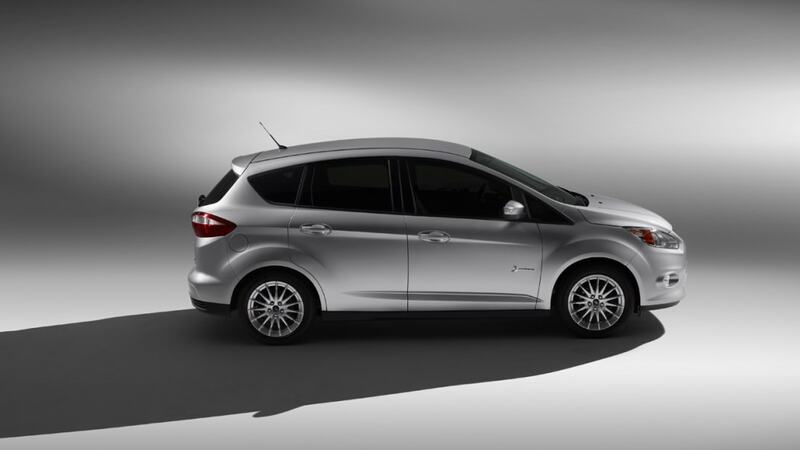 Ford C-MAX Energi plug-in hybrid and C-MAX Hybrid are based on the new Ford C-MAX five-passenger multi-activity vehicle, and each will offer high mileage and low emissions as well as distinctive body design and a flexible interior. The plug-in hybrid and third-generation full hybrid leverage Ford's global C-car platform, acclaimed powersplit architecture, next-generation driver information features and advanced lithium-ion battery systems. 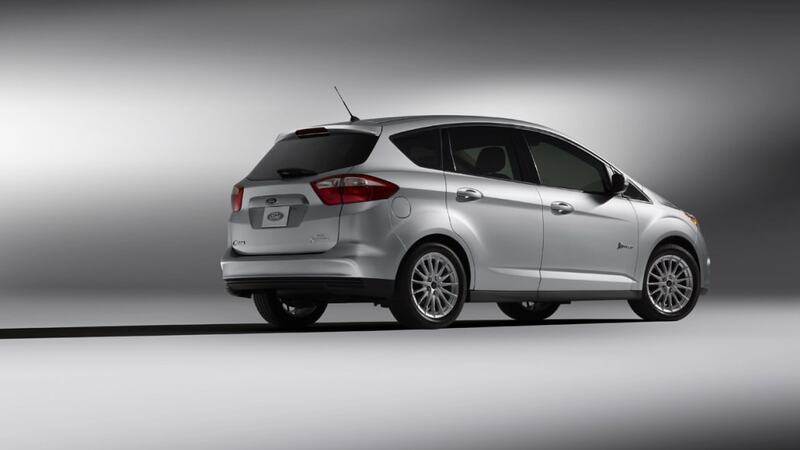 "C-MAX Energi and C-MAX Hybrid will be perfect for families looking to maximize their hybrid car experience," said Nancy Gioia, Ford director of Global Electrification. "Thanks to the versatile interior, these cars are going to appeal to environmentally conscious consumers who need room to grow." 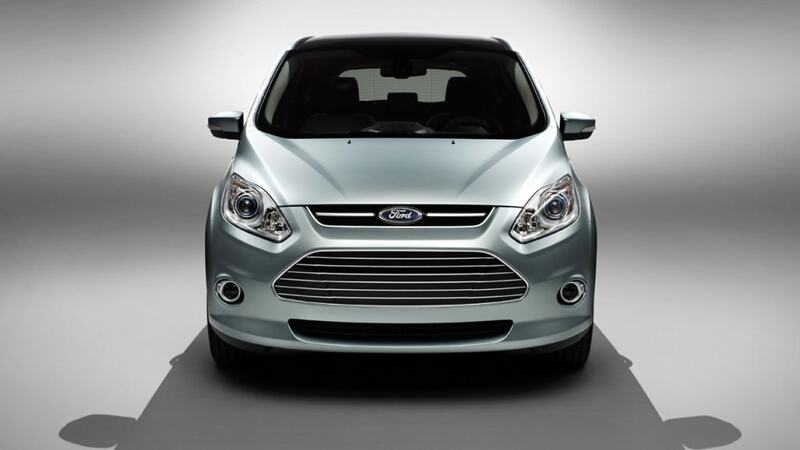 Both the C-MAX Energi and C-MAX Hybrid models will be built alongside the all-new 2012 Ford Focus and Focus Electric at Ford's Michigan Assembly Plant in Wayne, Mich. The plant's production is powered in part by one of the largest solar energy generator systems in the state. 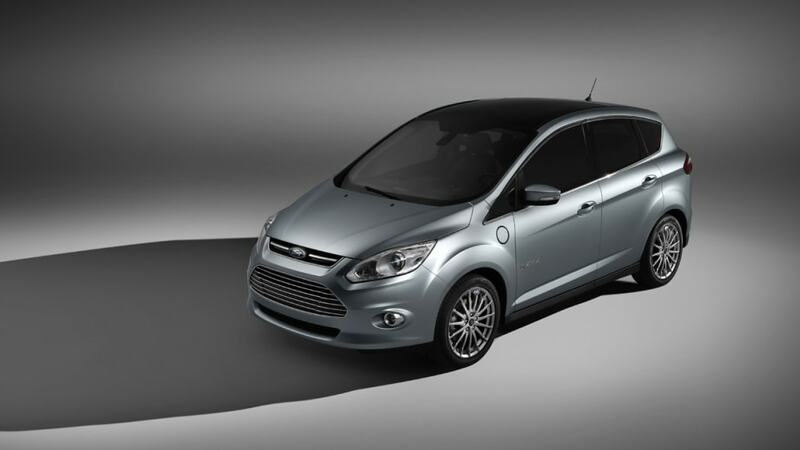 The C-MAX Energi and C-MAX Hybrid vehicles sold in Europe in 2013 will be built at Ford's plant in Valencia, Spain, starting in 2013. "A plug-in hybrid owner may make fewer trips to the pump to refuel because of its all-electric mode capability," said Derrick Kuzak, Ford vice president of Global Product Development. 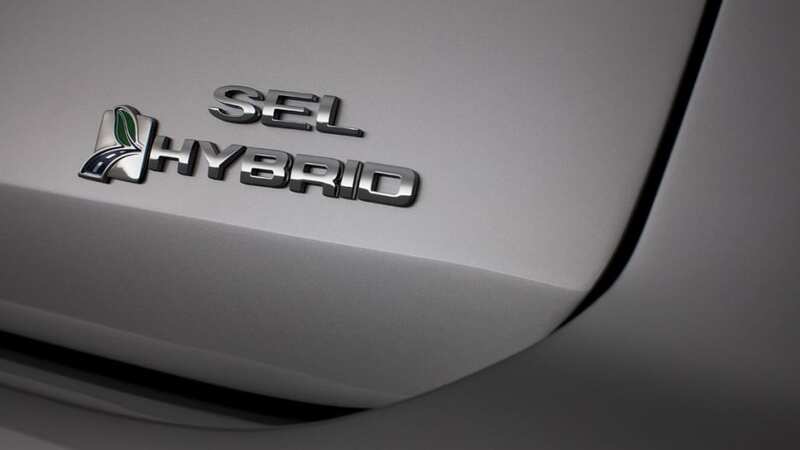 "Conveniently, they'll be able to recharge their plug-in hybrid at home overnight. And they'll never have to think about the vehicle's electric range, because the plug-in hybrid seamlessly shifts to fuel power when needed." 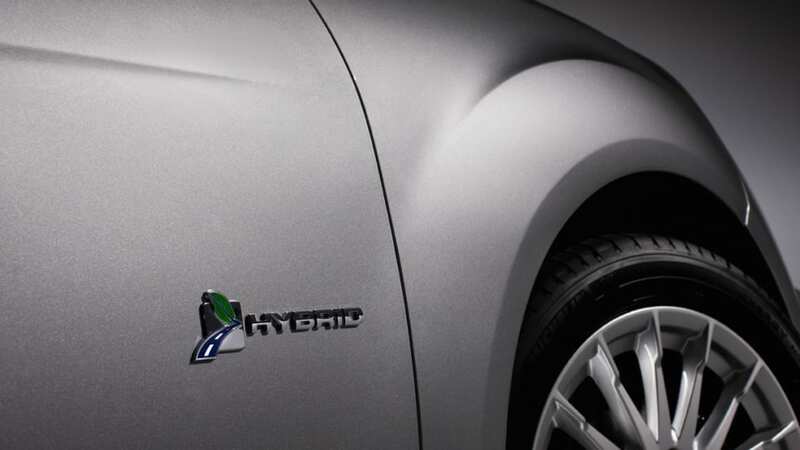 The development of Ford's first-ever production plug-in hybrid leverages more than 200,000 miles of road testing conducted in collaboration with a coalition of 10 utility companies, the U.S. Department of Energy, the New York State Energy Research and Development Administration and the Electric Power Research Institute. 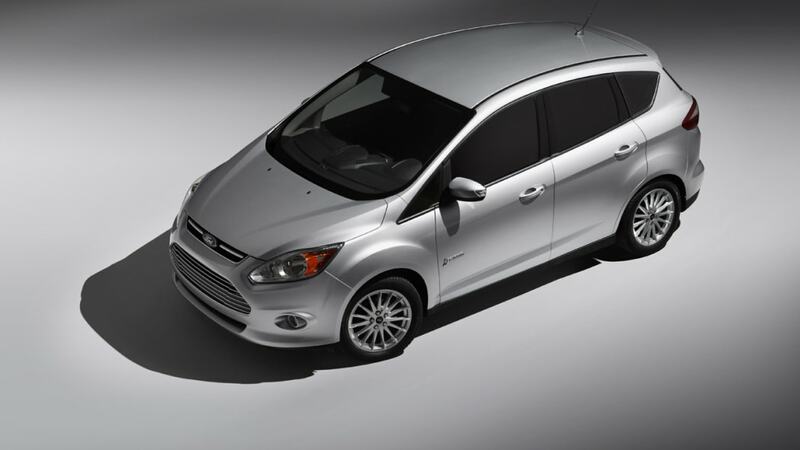 C-MAX Energi and C-MAX Hybrid will use advanced lithium-ion battery systems developed and assembled in-house by Ford in Michigan. Each system is smartly designed to maximize use of common, high-quality components, such as control board hardware that has proven field performance in Ford's current, critically acclaimed hybrid vehicles. Li-ion battery packs offer a number of advantages over the nickel-metal-hydride (NiMH) batteries that power today's hybrid vehicles. In general, they are 25 to 30 percent smaller and 50 percent lighter, which makes them easier to package in a vehicle, and can be tuned to increase power to boost acceleration or to increase energy to extend driving distance. While C-MAX Hybrid will operate much like today's hybrid vehicles, C-MAX Energi will benefit from daily charging to maximize its all-electric range. Thanks to the efficiencies of its right-sized battery system, the plug-in hybrid easily recharges 100 percent overnight on a 120-volt outlet. 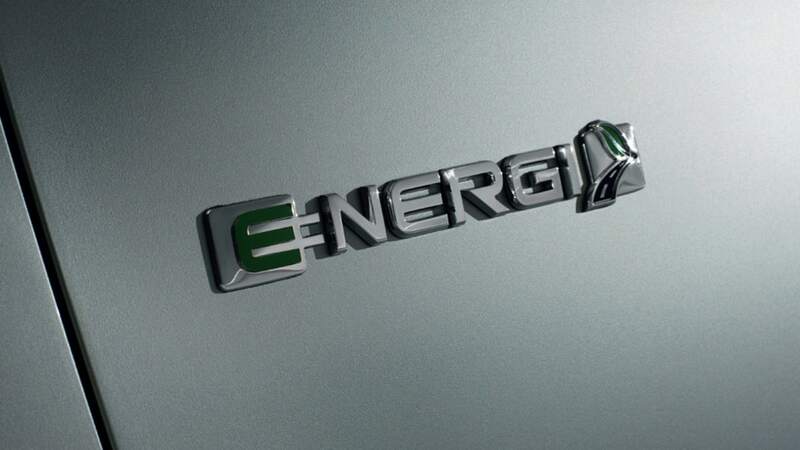 A full charge in C MAX Energi allows owners to increase their driving significantly in all-electric mode and drastically reduce their use of the on-board fuel engine. 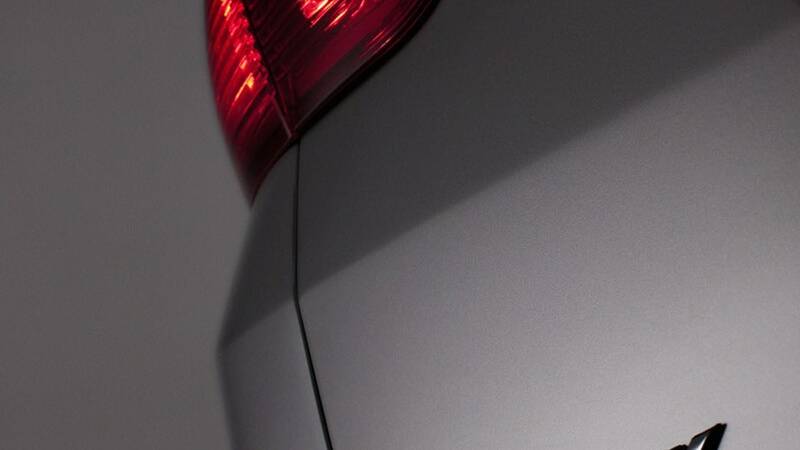 When the cord set connector is plugged into the vehicle's charge port, which is located conveniently between the driver's door and front wheel well, it activates a light ring that loops around the port twice in acknowledgement of connectivity. The light ring then illuminates in quadrants as the vehicle charges. Flashing quadrants represent charge in progress and solid-lit quadrants show stages of charge completion. When the entire ring is solidly lit, the vehicle is fully charged. C-MAX Energi owners will have access to a suite of driver information systems – on-board and off-board – designed to help them manage the recharge process, manage the most eco-friendly route on-board, remotely control their vehicle's charge and preconditioning settings, monitor battery state of charge and maximize energy efficiency to extend use of electric mode. 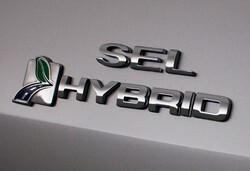 C-MAX Hybrid owners also will benefit from the on-board features. The cluster's new MyView feature allows drivers to access even more vehicle data such as the electrical demands of vehicle accessories, including air conditioning, which influences fuel economy and the electric driving range of the C-MAX Energi. Long-term fuel efficiency can be displayed in two ways – either as a traditional chart or using an innovative display that shows a growing leafy vine on the right side of the cluster. The more efficient a customer is, the more lush and beautiful the leaves and vines become, creating a unique visual reward for the driver's efforts. MyFord Mobile enables access to a secure Ford website and smartphone/feature phone app to get instant vehicle status information, perform key functions remotely, monitor the car's state of charge and current range, get various alerts including when the vehicle requires charging, remotely program charge settings and download vehicle data for analysis. 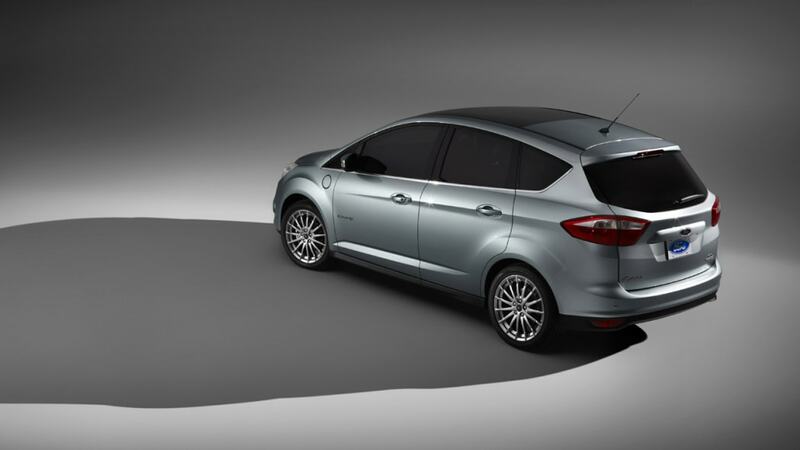 Working with MapQuest®, MyFord Mobile can communicate charge station and other points of interest to C-MAX Energi using SYNC's Traffic, Directions and Information (TDI) service. Turn-by-turn guidance is provided by the in-car map-based Navigation System. Drivers can also get up-to-date charging station information in their vehicle directly through SYNC TDI simply by connecting to SYNC Services. Using the value charging feature, powered by Microsoft, C-MAX Energi owners in North America will be able to optimize their home's energy use and vehicle recharging practices. Value charging allows Ford customers to reduce their electricity costs by taking advantage of off-peak or reduced rates from their utility without a complicated set-up process. "Although C-MAX Energi owners won't have to plug in, by doing so they'll get the benefits of driving in electric mode for longer distances; that can mean fewer trips to the gas station and less emissions when driving," said Sherif Marakby, director of Ford's hybrid and electric programs. "That's why we'll be providing C-MAX Energi and C-MAX Hybrid owners with a user-friendly interface and tools like value charging that will help them get the most out of the vehicle's electric mode capability." 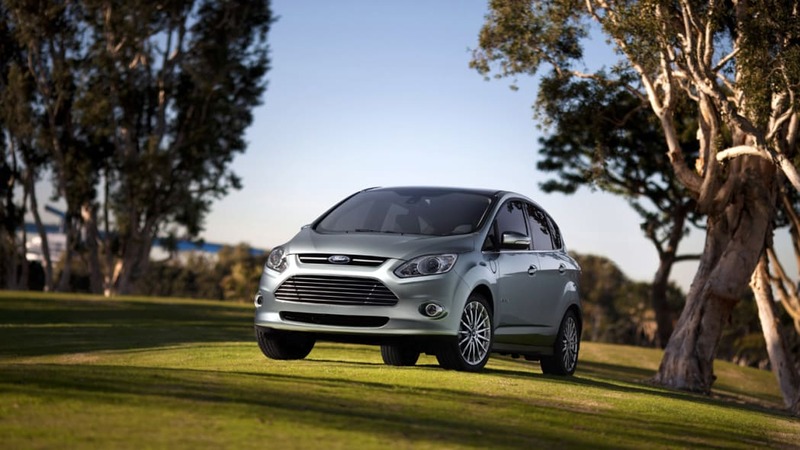 C-MAX Energi and C-MAX Hybrid are two of at least 10 new models or derivatives that Ford will launch around the world based on its new global C-car platform – Ford's first truly global One Ford platform. Ford's new generation of C-segment vehicles will be sold in more than 120 markets and will account for more than 2 million units annually. The C-segment accounts for one in four cars sold worldwide today and, in conjunction with the B-segment, is expected to rise to 50 percent of all cars sold globally by 2013.